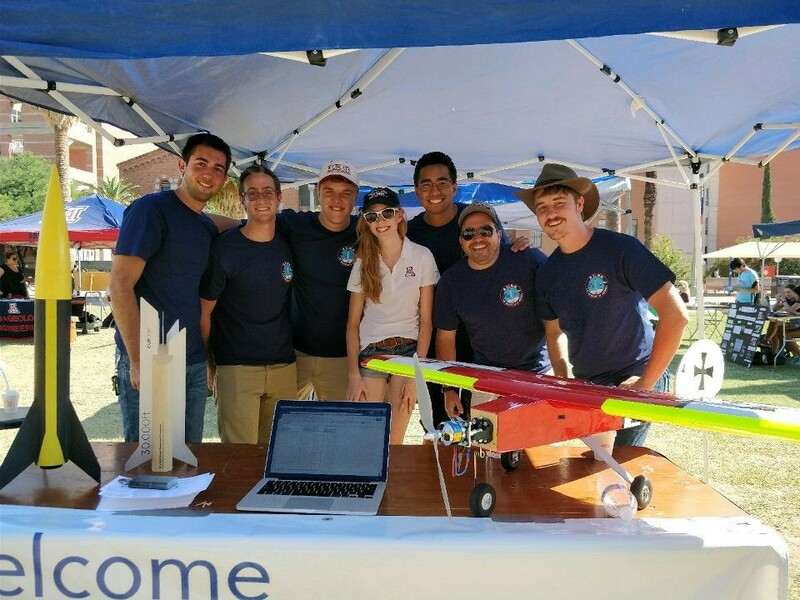 The University of Arizona's student led chapter of AIAA has three main project categories: competition, beta rockets and beta flyers. The beta rocket program lets students simulate, build, and launch their very own high power rocket. Design Build Fly is an international competition in which students put their engineering knowledge to the test to create an RC aircraft meeting a set of specific requirements. The beta flyer program gives students the opportunity to design, craft, and customize a small scale RC plane. The sky is the limit! The Spaceport America Cup is an international competition where students compete to build large scale rockets that can reach 30,000 feet and above. Approach a board member! We are always looking for new ways to engage more students.